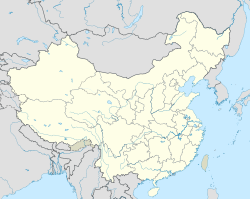 Quanzhou (umwhile cried Zayton/Chinchew, Cheenese: 泉州; pinyin: Quánzhōu; Wade–Giles: Ch'üan2-chou1; Pe̍h-ōe-jī: Chôan-chiu) is the lairgest ceety o Fujian Province, Fowkrepublic o China. 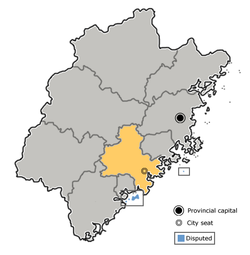 It borders aw ither prefectur-level ceeties in Fujian but twa (Ningde an Nanping) an faces the Taiwan Strait. In aulder wirks, its name mey appear as Chinchew, Chinchu, Choanchew, or Zayton, frae Arabic. This page wis last eeditit on 11 Mairch 2018, at 15:12.